Flat feet are common among children, but painful progressive flat foot can lead to severe disability in adults. 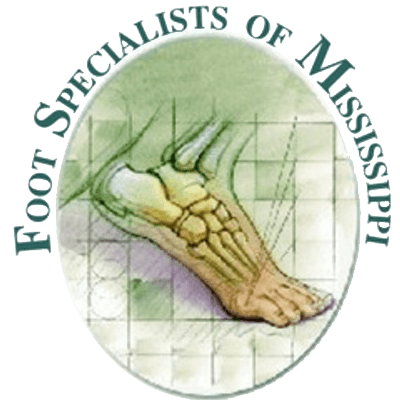 Highly trained podiatrists Vern Christensen, DPM, MPA and Jeffery VanYperen, Jr., DPM, offer a wide range of flat feet treatments at Foot Specialists of Mississippi in Amory, Mississippi. If painful flat feet are limiting your activities, call or book an appointment online today. Flat feet, sometimes called overpronation, is a common condition that affects your foot structure. When you have flat feet, the arches on the insides of your feet lie flat against the ground instead of curving upward. It’s normal for infants and toddlers to have flat feet. An arch develops when children begin to walk and stand on their toes. Most of the time, the arches continue to grow and are fully formed by adulthood. If you have flat feet, the arches may never form. Flat feet happen when the tendons inside your feet are too loose or weak to support an arch. This common condition is associated with pronation, an inward leaning of your ankles toward the center of your body. Severe pronation may cause the soles of your shoes to wear out faster on the inside. Painful progressive flat foot, or adult-acquired flat foot, happens when the tendons in your foot become inflamed, stretched, or torn. If left untreated, this condition can worsen and cause severe pain and disability. When should I see a podiatrist for flat feet? Contact the caring team at Foot Specialists of Mississippi any time flat feet cause pain or limit your activities. How do you diagnose and treat flat feet? Dr. Christensen or Dr. VanYperen begin with a thorough exam of your feet. They may ask you to stand on your toes to see whether an arch forms. If it doesn’t, they may take imaging tests, such as an X-ray or MRI to examine the tissues in your feet. Flat foot that causes severe pain or doesn’t improve with conservative treatments may require surgery to repair a damaged tendon. If you or your child suffer from painful or disabling flat feet, call Foot Specialists of Mississippi or book an appointment online.